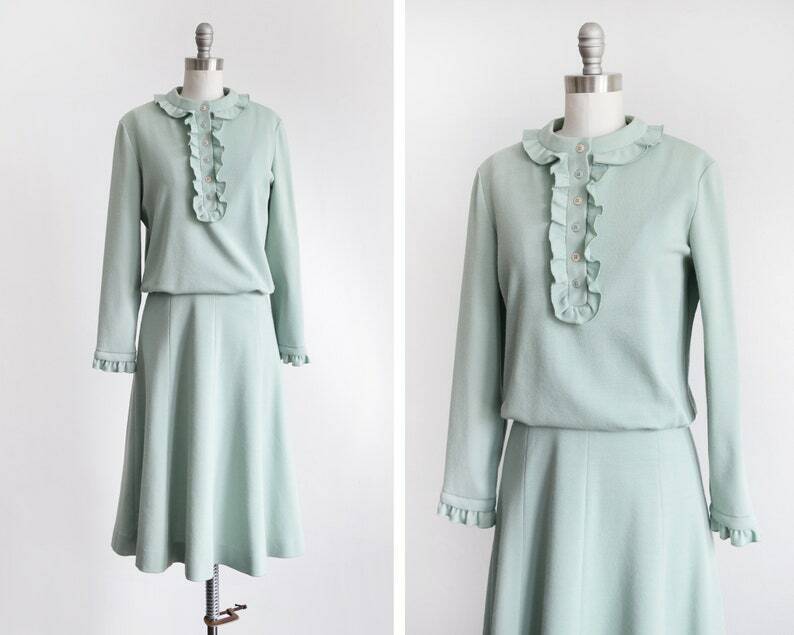 Cute vintage late 60s pistachio green mod knit dress. Ruffled collar with tuxedo front that has alternating color functional buttons. Long sleeves with matching ruffle cuff. The bodice is a little billowy at the waist. A-line style skirt. Zipper up the back. The bodice is lined with a nylon green fabric that snaps at the back of the neck. The material has some stretch, except in the waist. The knit is soft.